I promise the #good2grow juice was for JustaBXgirl and the champagne was for mama bear! JustaBXgirl and I were invited to be part of the festivities recently. 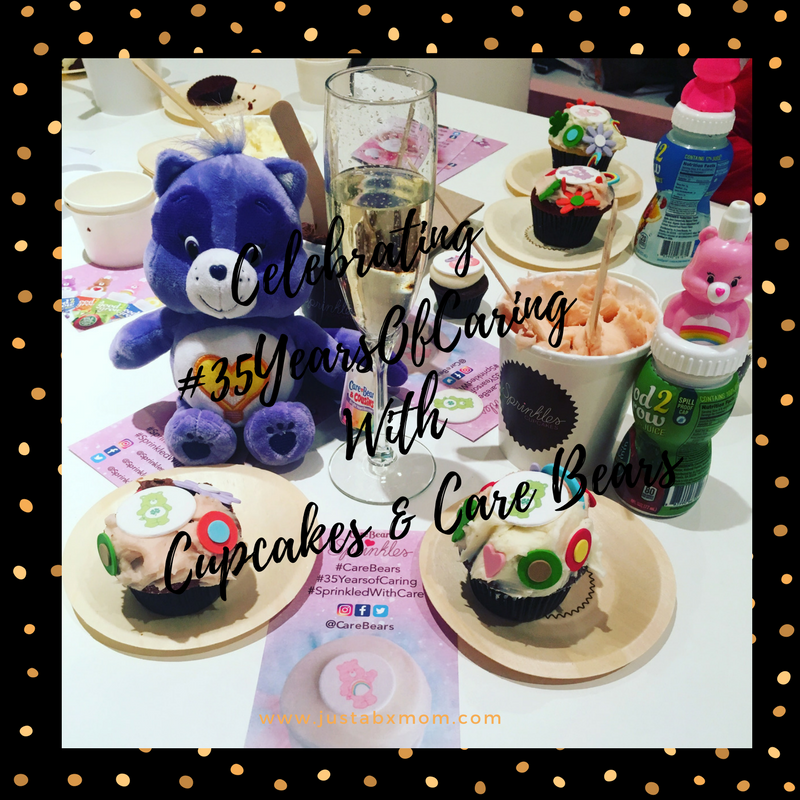 We got to decorate cupcakes and cuddle with some Care Bears. I think JustaBXgirl might be considering a future in cupcakes as she genuinely enjoyed creating some yummy treats. She made about half a dozen original designs that she was excited to bring home and share with her cousins. They were a hit at home where we continued the sugar rush and party! JustaBXgirl on a sugar rush! Don’t worry, you can get your own Care Bears cupcake at a Sprinkles near you. I know, I know, it might not be a JustaBXgirl design but they are really cute in their own right. Sprinkles will be selling these adorable, delicious treats through January 25th. But wait, there’s more. At least for my NYC area readers. All my other readers please check with your local Sprinkles. On Saturday, January 21st at select locations there will be huge celebrations for National Hug Day. At Sprinkles UES (780 Lexington Ave) there will be a real life Care Bear hanging out giving out hugs. If you’re in the neighborhood make sure to stop by for sweet treats and giveaways. Look for me and JustaBXgirl and make sure to say hi! We’ll be there continuing her birthday celebration. Super cute! Funny the last time that I took the prince to Toys R Us I had to explain the Care Bears to him!